My plan was to start this article with something pithy about how the pain of not making it to the finals of the Premiership Play Offs had faded and it was now I could start to be a bit more objective about the season. But the more I thought on it, the more I realised there wasn’t really any pain at all. I’d never actually expected us to make it to the finals, never mind win them. This entire season has felt a little bit of a let down after coming so close the year before. It’s been a season of unfulfilled promise, a season of missed potential, and a season, ultimately, of resigned disappointment. I’ve spent a while thinking about it, and it occurred to me that there was a perfect metaphor for our performance right in front of me. The way Wasps have performed for the last year has been an almost exact analogue for the career of Danny Cipriani. Undeniable brilliance, tempered with basic failure. Constant pushing at the boundaries of what is possible while at the same time failing to do some of the simplest of things at all. Excitement, but ultimately disappointment.  It is no secret that Wasps rely on natural ability, that we have a whole raft of players who can turn a game around in a moment by an act of sheer magic. Cipriani more so than anyone else. I remember sitting in the stands at Adams Park watching him as a new player, somehow he managed to be both astonishingly good, and yet still somehow there was something not quite sitting right about him. 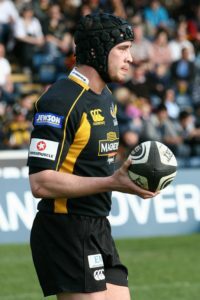 When he re-signed for Wasps two years ago I was pleased that we had the chance to see such brilliance again, but I was also a little concerned that perhaps nothing would have changed. That the young prodigy who didn’t see anything wrong with heading out to a nightclub to drop something off with a friend in the middle of the night before his first England cap was the player we were going to get. The man who was clever enough to know how brilliant he was and always try to be leading the discussion in training to the point where other, equally brilliant players on his own team were happy to KO him in training. I don’t think he is as arrogant as he was when he was younger. But ultimately he is still the same person. So that’s why I’m not sad he’s leaving. I also don’t think that it is a coincidence that our defence, which has been an issue for so long has suffered while he has been with us. To the point where our defence coach upped and left. The more the team has coalesced around Cipriani and what he does so well, the worse we have got at everything else. And that is both why I never expected us to win anything in the playoffs, but more importantly it is why I am so optimistic about the next season. Lima Sopoaga is a natural talent on the rugby field. He is strong, powerful, fast, fearless, and has a vision to match. He is also a team player of the highest level. He might not have moments of utter magic like Cipriani, but his ability to act as the playmaker in a team that succeeds at everything is far and away above Danny’s. I genuinely wish Danny all the best for the future, I hope he does well at Gloucester, and I hope he gets his chance to show what he can do on the stage of international rugby. But I doubt he will ever be anything more than a good fringe player who never fulfilled his potential. Wasps on the other hand have shown they have what it takes to succeed. They have a core of players who want to play for each other, and trust each other to do the right thing. They have individuals with the ability to change the game in a moment – Wade, Le Roux, Daly, Willis, Launchbury, Young, and more besides. And in Sopoaga they have an opportunity to build a stable platform on which to shine. We’ve made it to the playoffs three years in a row, we’ve made it to the final in one of those, and yet we haven’t quite had what it takes to reach the very top. I honestly believe that will be different next season.